For reliability, experience and technical expertise in printing and manufacturing calendars, you are in safe hands with Rose Calendars. 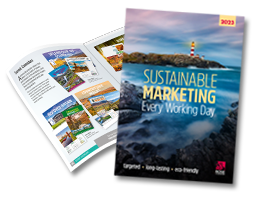 With 111 years of expertise designing, publishing, manufacturing and printing calendars, and completely UK based, our state-of-the-art production processes ensure that any of your calendar printing requirements and imprinted calendars are taken care of. As the UK’s leading calendar manufacturer we have our own in-house facilities to print calendars, where we print, collate, bind and finish all calendars to the highest standard. Rose Calendars have been calendar printers since 1908 in an industry that has seen massive technological changes in the manufacturing process during that time. Today Rose Calendars are at the forefront of print manufacture, utilising the latest in digital technology alongside the more traditional lithographic printing processes. Our design team are responsible for the award winning calendars that we have produced over the years, and this is backed up by a manufacturing process that has at its heart, quality and attention to detail. From our large dedicated manufacturing plant in Colchester, Essex, your business calendars are printed for you under one roof where we have been manufacturing since our move to these premises in 1984. Using precision printing processes to ensure the finished products are extremely high quality, together with the best inks, sustainable sourced paper and binding materials to suit your individual needs, the whole process takes place in house using specialised printing and finishing equipment tailored to printing our range of calendars. From the very beginning of your order, our team of specialised designers, art workers, printers and finishers will create your calendars to our very high exacting standards. Hand checking occurs at every point during the production process, and we pride ourselves on the high quality of the end result. The expertise we have gained over the years is reflected at every stage, our long-serving and dedicated staff are a valuable asset that has helped make Rose Calendars so successful. We understand what it takes to make a good calendar, a gift that will say something about your company when given to the recipient; 110 years of calendar printing and manufacturing experience at your disposal. From animals to architecture, cartoons to contemporary and landscape to portrait, we have a range of calendars with subject matter that has something for everyone. Add to that low minimum order quantities and competitive pricing, and customer satisfaction is guaranteed. Our professional, yet approachable team strives to deliver a personal service, completely targeted to your individual needs, whether you are looking to purchase your 2020 calendars from our large range of stock calendars or wishing to create your very own, bespoke or more personalised calendar. For advice on which option best suits your business, or for more information on calendar printing, please contact us - we look forward to helping you.